What is a DS 82? The DS Form 82, also known as an Application for a Passport by Mail, will be used by someone who needs to renew their passport and wants to do it through mail instead of online. A DS Form 82 is used by the United States Department of State. This form is officially called "U.S. Passport Renewal Application for Eligible Individuals." It will be used by U.S. citizens or non-citizen U.S. nationals who need to renew their passport sand wants to do it through mail instead of online. In order to use the Form DS 82, you must have a valid passport that you can include with your application. It must have been issued in the last 15 years, when you were at least 16 or older, and have your current name on it. Otherwise you will need to apply for a new passport. In addition to your passport, you will also need to include a new passport photo with the form. You will also need to include the passport processing fees. The passport fees must be paid by personal check or money order made payable to "U.S. Department of State." Failure to include these items will result in your application taking a long time to process, or it may be returned completely. Create a free DS 82 in minutes with our professional document builder. Not be limited by the normal 10 year validity period due to damage/mutilation, multiple thefts/losses, non-compliance with 22 C.F.R. 51.41. Use the same name on your most recent passport book or card or have had a legal name change by marriage or court order and have proper documentation (marriage certificate or court order). 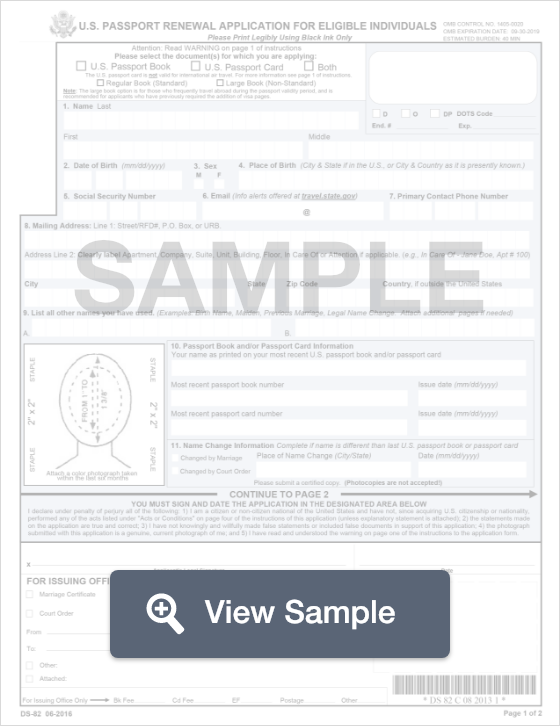 If you are unable to provide this documentation, you must apply on the Form DS-11 by making a personal appearance at a passport agency, U.S. embassy or consulate, any federal or state court of record, any probate court that offers passport services, a designated municipal or county officer, or a post office which has been selected to receive passport applications. Processing time for a passport typically takes between 6 to 8 weeks. 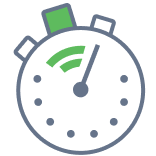 If you choose an expedited service, you can receive a faster processing time. There is an additional fee for expedited service.